The water then soaks into the surrounding soil and improves groundwater levels. Infiltration trenches increase permeability and reduce stormwater flows. 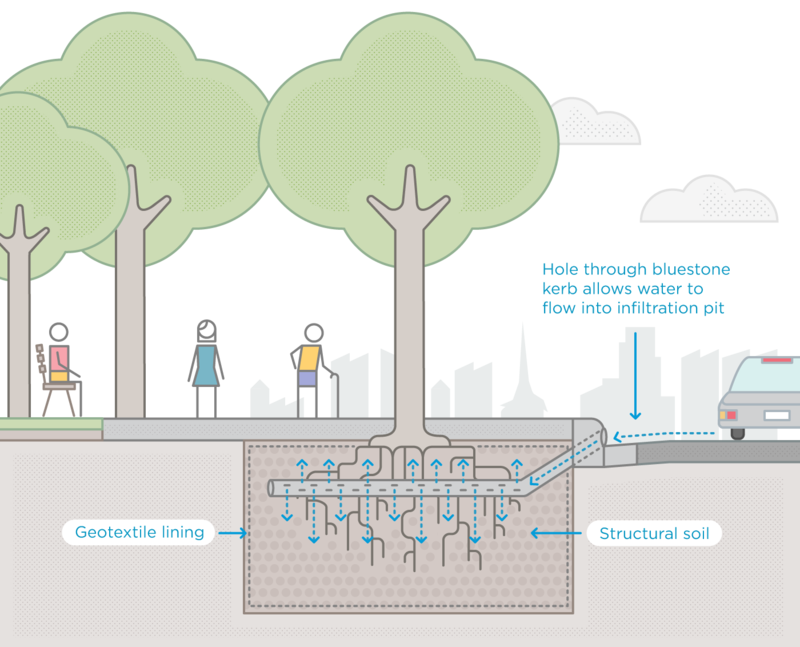 Infiltration trenches can be a useful tool to help keep our trees healthy.